For over 25 years, Weis Realty Executives has been an integral member of the Manhattan, KS, residential real estate community. Our longevity affords our Executives and clients the necessary insight and tools to make the best possible transaction at the best possible time. Every month your home remains on the Manhattan, KS real estate market, you continue to pay the mortgage, taxes, insurance, utilities, and maintenance. We will work with you to price your home for optimal value and fewer days on market. This is accomplished through well researched market value pricing specific to Manhattan, Kansas, and promoting your property both online and in-house. Our professional Realty Executives group works with you to ensure your property is promoted in ways no other company in town can touch. Contact us today and find out for yourself! Whether you’re moving up, moving out or moving on, make your move with the experts. Weis Realty Executives has more than 20 years experience in helping people sell their homes, condos and commercial real estate. At one time or another, you will probably be involved in selling your home, some land, or another piece of real estate. This process can lead to many questions and few crystal clear answers. This is typical because there are many variables in the real estate listing and sales process, and every transaction is different. Fortunately, Weis Realty Executives can help. Our company is unique because of our cooperative concept. This arrangement benefits you, because an experienced Weis Realty Executive is always available to respond to your calls and questions. You are our top priority. The real estate professionals in our office cooperate with each other to benefit our clients. Therefore you benefit from the years of experience of all of our Executives. Weis Realty Executives is committed to helping you sell your property in a timely fashion while attaining the best possible results in the sales transaction. If you are interested in learning more about the services of the Realty Executives Weis Real Estate, please contact us today. Our record of sales success also benefits our clients. Did you know Linda is #8 of 800 for Realty Executives in the Mid-America Region of Kansas, Missouri, Colorado, and Nebraska, and in the Top 100 of Realty Executives International? The Weis Realty Executives core values have propelled us to become a recognized local, regional and state leader in quality customer service, first-hand industry education and more sold transactions! We can help, too. Our real estate professionals have the knowledge and understanding of the industry. They can provide reliable information and get you moving in the right direction towards the sale of your home. 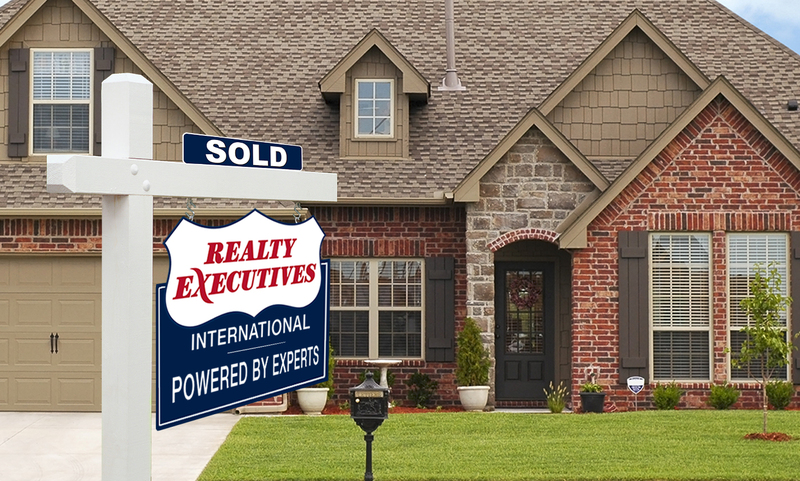 First and foremost, you will want to select a real estate company in whom you have trust and confidence – Realty Executives Weis Real Estate, of course – the most trusted name in the business! Check out our listings on this website and review the high quality presentations and incredible exposure afforded our clients’ listings. Next, be sure to read our testimonials and see what our past clients have to say about their experience with our company. We think you will like what they’ve said about our performance! Next, you will want to work with highly-qualified, experienced professionals who have worked hard to achieve professional designations in their field. That is us–Weis Realty Executives! Next, consider our education, designations and certifications! Our extensive commitment to professional development demonstrates our strong commitment to the needs of our clients. Next, consider our experience—and the many successful transactions we have accomplished in 25+ years! There is no substitute for education and experience, and Weis Realty Executives has both! As the Seller, how will you be represented by Weis Realty Executives? We strictly adhere to all aspects of Kansas license law and the Code of Ethics of the National, State, and Local Realtors Associations. When you work with Realty Executives Weis Real Estate, integrity is our watchword! As the Seller, what services will you receive for your listing? 1) We will consult with you regarding your goals, plans, and value of your real estate. 2) We will provide an initial computerized report of properties in your area that are Sold, Pending, and Active, and we will work with you in determining a realistic, marketable price for your property. 3) We will advise you regarding improvements and changes to your property that will benefit you as the Seller in making your property attractive to prospective Buyers. 4) We will prepare at listing an estimate of the Seller’s proceeds at closing, which includes closing costs. 5) We will prepare and review the listing paperwork in extensive detail—answering all your questions to the best of our ability. 6) We will assist you in obtaining and completing all documents necessary for the marketing and sale of your property. 7) We will work with you in determining a strategic marketing plan that will attract highly-qualified prospective Buyers who are ready to purchase. 8) We will constantly inform you of market changes, feedback from showings, staging advice, and recommended changes in the marketing plan. 9) We will invest time, effort, and money in marketing your property while you, as the Seller, relax, knowing that the process is in the hands of a trusted professional. 10) We will do all possible to provide a start-to-finish professional presence through the marketing and final details of closing, which we believe you will find invaluable. There is a reason for our success! We are here to put the needs of our clients first! We look forward to answering your questions and will walk with you every step of the way in the sale of your property! A qualified Weis Realty Executives agent can provide a fair market analysis of the homes for sale in your area. A Market Analysis is usually free and without obligation. For more information on how to receive a FREE Market Analysis that will help you properly determine the value of your home, click here. There are many creative ways that our agents will drive traffic to view your home. We will work with you to develop and implement an aggressive and proactive marketing plan that includes an integrated mix of personal, digital and traditional strategies. Is the proposed offer an acceptable price? We are interested in the home and we will purchase the property on the Seller’s terms per the real estate agreement. This negotiating process can at times seem very complicated. However, if you are equipped with a Weis Realty Executives agent, all of this can be made hassle-free. The closing process is the transfer of the title of the property from the Seller to the Buyer. The Buyer will receive the keys to the home or the deed to the land, while the Seller receives payment for the property. The amount the Seller receives is based upon the amount that is still owed on the mortgage, any outstanding fees or taxes and any additional closing costs. All legal papers are filed with the local recording office. Closings usually take about 30 to 60 days to complete. This mainly depends on the Buyer’s financing availability, successful home inspection completion, and various lender conditions (ex. title search, title insurance, termite inspections, surveys and appraisals). It is this step where the Buyers and Sellers do very little. It is important as the Seller to take a final walk through the property to make sure the property’s condition as not changed. It is equally important for both the Buyer and Seller to make sure the paperwork they are signing reflects the agreement of the original sale. Contact us today, we look forward to helping YOU achieve YOUR Goals!